Mahindra Electric, part of the diversified USD 19 billion Mahindra Group and a pioneer in the development and production of electric vehicles in India, recently launched its new campaign titled Tomorrow’s Movement. Conceptualized by Mullen Lintas, Tomorrow’s Movement propagates and further establishes Mahindra Electric’s thought leadership in the electric vehicle (EV) segment. The campaign effectively uses the insight that in India, every pioneering initiative is considered ‘a movement’. 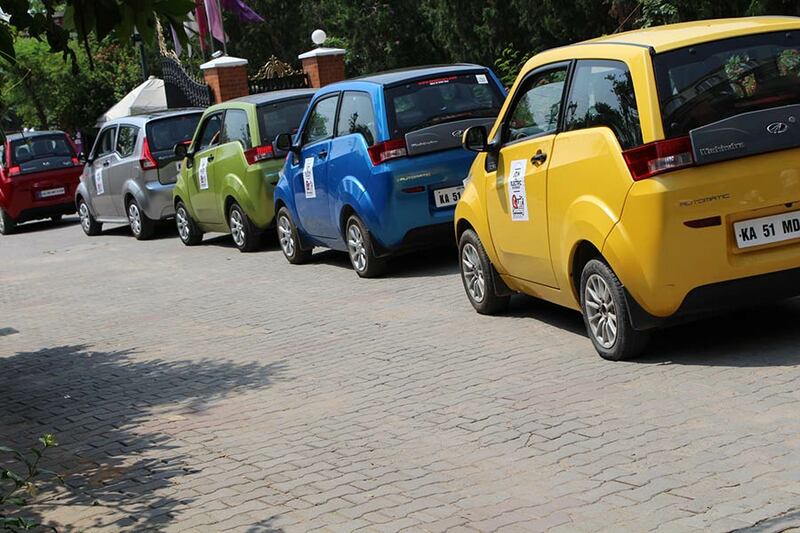 The campaign rides this wave and highlights the fact that Electric Mobility as a category represents ‘a movement or a revolution’ which to a large extent can be credited to Mahindra Electric’s pioneering efforts in the EV space. The campaign also highlights the fact that adoption of EV technology is an aspirational choice. It propagates the belief that the country will soon wake up to a new reality, a revolution in mobility that is electric. Mahindra entered the electric vehicle space in 2010 and since then we have been building expertise in the belief that electric mobility is the future. This campaign, developed in partnership with Mullen Lintas, is a first of its kind initiative to establish the EV category in India and celebrates the customers of Mahindra Electric who have already adopted EVs. It reflects the current context of the country taking the leap to all-electric mobility by 2032. The Tomorrow’s Movement film is a narrative of a person who has already adopted Electric Mobility as his preferred choice even when the world is not ready. However, it is only a matter of time before mobility becomes electric. The film leverages the fact that, ‘how you move today, will soon become ‘tomorrow’s movement’ and it all starts with you’ and exhorts the rest to join the movement. This clearly establishes Mahindra’s thought leadership in the Electric Vehicle category, and underlines its contribution to steering the movement for a cleaner, greener and smarter tomorrow. With the Government of India’s thrust on electric vehicles and its mission to move to a 100% EV nation by 2030, large scale adoption of electric vehicles is the need of the hour to bring out this monumental change. However to give a perspective, currently EVs consist of less than 1% of all vehicle sales in the country.